Most underrated score by somebody not named John Barry: John Barry composed the score for half of Eon Productions Ltd.’s 22 007 movies. He also worked on Dr. No, helping to arrange The James Bond Theme composed by Monty Norman. Barry has earned a special status in the 007 film canon. But what of the other composers in the series? It’s a hard call. By sheer volume, David Arnold gets notice (the only non-Barry composer to do more than one 007 film). But George Martin, composer of the score for Live And Let Die gets the nod here. Martin, producer of the albums of the Beatles, helped Paul McCartney sell his title song to Eon. And Martin made use of the song by Paul and Linda Martney in his score. It may not be the best non-Barry 007 score, but Martin’s score is a major plus for Roger Moore’s 007 debut. Most underrated voice dubbing: Robert Rietty dubbed Adolfo Celi’s Largo in Thunderball, Tiger Tanaka in You Only Live Twice and (sort of) Ernst Stavro Blofeld in For Your Eyes Only. Monica Van der Zyl dubbed Ursula Andress’s Honey Ryder in Dr. No, and possibly other roles. However, Shayne Rimmer may get the nod, dubbing a doomed CIA agent in the pre-credits sequence of Live And Let Die. That’s because Rimmer (who had appeared on-screen twice before LALD and would do so again in The Spy Who Love Me is perhaps the least obvious dubbing job. Most underrated screenwriter not named Richard Maibuam: Maibuam worked on 13 Bond films as a writer. Often his work would get re-written by others but the fact that producer Albert R. Broccoli repeatedly turned to Maibuam indicates the U.S.-born writer (1909-1991) had a special status. Robert Wade duo is a distant second to Maibuam at four films. Tom Mankiewicz has three 007 writing credits (though he may have contributed to two other films on an uncredited basis) and Bruce Feirstein has three Bond film writing credits. Roald Dahl was an accomplished writer but his one Bond screenplay, You Only Live Twice, is a writing equivalent of painting by the numbers. For the moment, we’ll give the nod (and this is very tentative) to Mankiewicz. His commentary on the DVD of Live And Let Die provides a clinic on how to write a screenplay (you may disagree with his choices but he explains how the choices were made; plus he’s an entertining presecen on DVD documentaries). Singer Jimmy Dean died on June 13 at the age 81.The Associated Press obiturary for Dean said he passed away at home. 1. Most obvious, it was the first 007 mega-hit. Dr. No and From Russia With Love had been successful, but Goldfinger turned 007 into a worldwide phenomenon. It set a record at the time for recouping its costs and spurred massive promotional tie-ins. 2. It was the tide that lifted all boats for 1960s spy entertainment. Columbia, which had passed on 007 before United Artists snapped him up, and 20th Century-Fox commissioned projects with the idea of creating an “american James Bond.” The result would be four Matt Helm movies with Dean Martin and two Derek Flint films with James Coburn. On television, The Man From U.N.C.L.E. premiered the same month as Goldfinger’s U.K. premier. The show got off to a slow start in the ratings but NBC kept it on the air and the show caught on, especially after a mid-season change in day and time slot. U.N.C.L.E., in turn, spurred network executives to commission other spy series, such as I Spy and The Wild, Wild West in 1965 and Mission: Impossible in 1966. Goldfinger’s success also created demand for “anti-Bonds,” or serious spy stories contrasted with Goldfinger’s escapism. Within a year, John Le Carre’s The Spy Who Came in From The Cold and Len Deighton’s The Ipcress File were made into movies. Interestingly, both utilized creative personnel from Goldfinger. One of the screenwriters who adapted Le Carre was none other than Paul Dehn, who wrote the critical later drafts of Goldfinger. The Ipcress File was produced by Harry Saltzman, co-producer of the Bond series. For the film, Saltzman hired composer John Barry, production designer Ken Adam and editor Peter Hunt. 3. It changed the Bond film series, not necessarily for the better. After Goldfinger, Saltzman and partner Albert R. Broccoli went through a period of trying to top their 1964 hit. 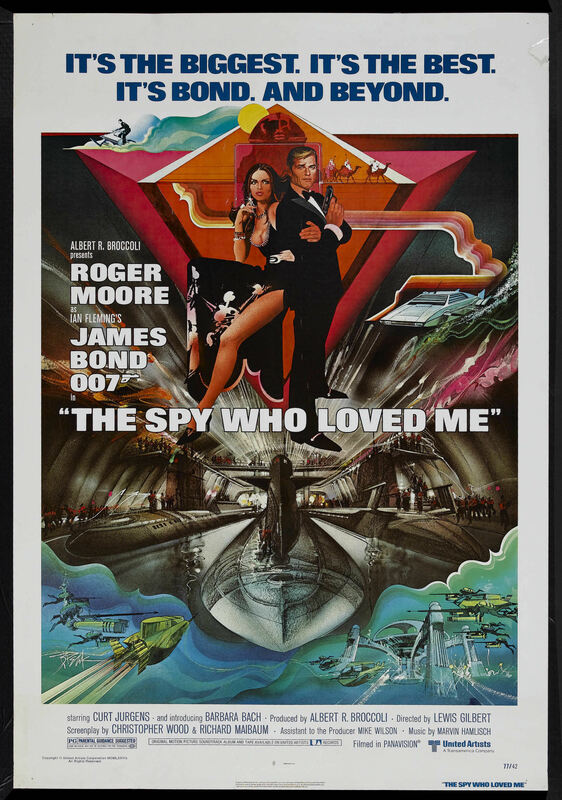 With Thunderball, they scored an even bigger hit, but the movie was at least faithful to Ian Fleming’s novel (which in turn was based on an earlier movie project that never got off the ground). So for You Only Live Twice, the producers threw out that novel’s plot altogether, kept a few characters and made yet another film relying on spectacle. After an attempt to bring things back to Fleming with On Her Majesty’s Secret Service, the producers again were looking for “another Goldfinger.” When Richard Maibaum was hired to adapt Diamonds Are Forever, the screenwriter obliged with a first draft featuring Auric Goldfinger’s twin brother. That approach was rejected, but it reflects how Goldfinger remained on the minds of Broccoli and Saltzman. The producers later hired Goldfinger’s director, Guy Hamilton, to work on Diamonds and again had Shirley Bassey sing the title song. 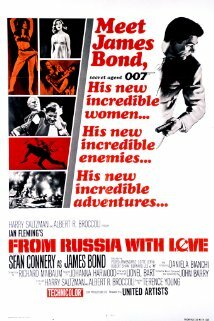 Over at the I Expect You to Die blog, the case is made that Goldfinger is only the 7th best 007 film, trailing movies such as On Her Majesty’s Secret Service, From Russia With Love and even GoldenEye. In terms of influence and impact, though, Goldfinger remains at the top of the 007 heap. That was part of a memo by screenwriter Richard Maibuam, who described a sequence in Ian Fleming’s 1959 novel where Bond was nearly cut in two by, you guessed it, a buzz saw. “I am dreaming up a machine that utilizes the new laser beam. It was featured in Life magazine,” the memo reads, according to Turner’s 1998 book about the making of Goldfinger. Another problem with the novel’s sequence is the reason Goldfinger spares Bond’s life. He decides to hire our hero as his secretary. Both Maibuam, and Paul Dehn, who would write the later drafts, felt this simply didn’t work. Both men labored to come up with a semi-plausible explanation why Goldfinger didn’t just kill Bond on the spot. Decades before Austin Powers jokes (“Just shoot him!”), both screenwriters were sweating bullets on how to solve the problem. In the end, Dehn’s final version has Bond pulling a bluff under the most difficult of conditions. We’re about 10 days from the 45th anniversary of Goldfinger. One of the keys to the film was adapting an 18-hole golf match between James Bond and Auric Goldfinger. The golf match was one of the reasons why Goldfinger was Ian Fleming’s longest novels. Paring it down would help make the film version the shortest 007 movie until 2008’s Quantum of Solace. The most significant change: we’re only shown the 17th and 18th holes of the match, plus what happens on the putting green of the 16th. Going into the last two holes everything is “all square,” so there’s plenty of tension for what’s to follow. Other changes: in the novel, Goldfinger’s caddy is “an obsequious, talkative man called Foulks whom Bond had never liked.” For the film, it’s Goldfinger’s lead henchman Oddjob and the golf match is the audience’s first full look at him; earlier, we had only seen Oddjob’s hand as struck Bond down from behind and the villain’s shadow. For the film, screenwriters Richard Maibuam and Paul Dehn have Bond discovering the cheating and making Hawker the Greek chorus telling us how smart 007 is. Finally one line in the film, where Goldfinger says that golf “is not yet the national game of Korea,” has taken on a certain irony given the results of last month’s PGA tournament.